The National Gallery of Art Library is pleased to announce the opening of a new exhibition, In the Library: The Evans-Tibbs Archive of African American Art, which showcases the life and work of Thurlow Evans Tibbs Jr., an accomplished art appraiser, broker, collector, and dealer, as well as the founder and director of his eponymous art gallery in Washington, D.C. Tibbs is best known for his donation to the Corcoran Gallery of Art, now an important part of the National Gallery’s holdings by African American artists. The exhibition was organized by Mid-Atlantic members Vada Komistra and Anna Tomlinson. Anna will be presenting her work with the collection at the annual conference in Salt Lake City as part of the session, Better to Receive? 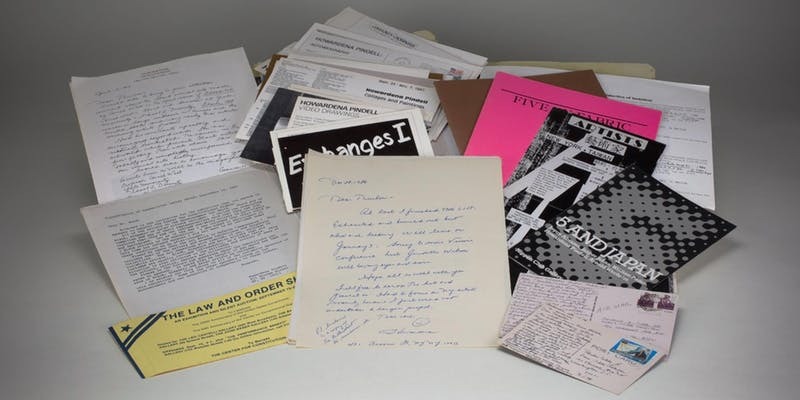 : Approaches to Building, Managing, and Promoting Artist Files Collections. In conjunction with the show, the library is hosting a Wikipedia Edit-a-thon on Saturday, February 23. You can sign up for the edit-a-thon here. The exhibition runs until April 12 and is open from 10:00 a.m. to 5:00 p.m., Monday through Friday.